"Who I Want to Be"
In the Awkward season 3 finale, Jenna questions what she wants and who she wants to be. Jenna wonders if Matty will take her to prom, and Ming faces a face from her past with the Asian Mafia. Jenna attemtps to heat things up with an old flame on Awkward. Jenna seeks forgiveness from her friends and family on Awkward. Jenna tries to get her anti-Val paper published on this episode of Awkward. She continues her downward spiral. "A Very Special Episode of Awkard"
The students get together to produce their own after school special. Then Jenna finds trouble when she attempts to blow off steam on Awkward. Jenna ends up in a tricky situation after her breakup which leads her to end her friendships with Ming and Tamara on Awkward. How will things play out when Jenna decides to take drastic measures against her friends on Awkward? Questions must be answered about where Jenna and Matty's relationship is headed on Awkward. 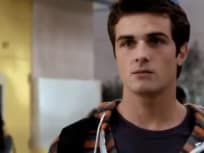 Jenna's secret hook up with Colin may be exposed on the mid-season return of Awkward. Tensions run high between Jenna and Matty when Colin invites her to his place for a photography shoot on Awkward. Jenna begins to develop feelings for Collin on Awkward. Jenna attends a dance but suffers from bad memories of times past on Awkward. On Halloween, the ghosts from Jenna's past arise again on Awkward. 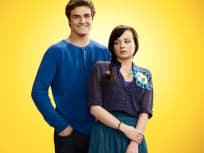 Jenna begins to think twice about their relationship when Matty moves in on Awkward. It becomes Awkward when Jenna's father tries to intervene in her and Matty's relationship. Jenna starts to question her relationship with Matty becomes distant on Awkard. "Cha cha cha changes / Responsibility Irresponsible "
In the season 3 premiere of Awkward, Jenna begins to think about life after high school. Then, a fellow classmates death leads Jenna to take more responsibility. It's gonna be okay, no one ever died getting touched by their uncle. Rest in peace Ricky, you douchebag. Permalink: Rest in peace Ricky, you douchebag.